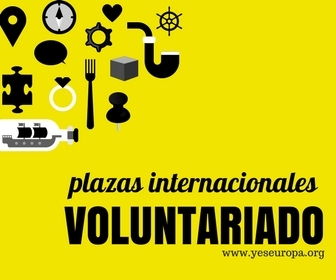 El Foro Europeo de la Juventud es una plataforma representativa de 97 Consejos Nacionales de la Juventud y de miles de organizaciones no gubernamentales en toda Europa, y si misión principal es la de trabajar para ayudar a todos los jóvenes Europeos. • Policy Monitoring: support the monitoring of the institutional development of youth policy already done within the European Youth Forum, according to its strategic priorities: Education, Participation, and Youth Mainstreaming, Human Rights, Youth Work Development, Employment and Social Affairs. The monitoring will be done through the screening of institutional communication channels (EU institutions, Council of Europe, United Nations) and major European media. • Communication: Drafting of a periodical public bulletin, the European ‘Youth Policy Watch’, which includes the results of the institutional monitoring. Writing articles and news items for the publications of the Youth Forum. Social media monitoring. • Academic background in political science, social sciences, journalism, communication, law or equivalent. • Interest in youth policy and knowledge of some basis of the European and global landscape of youth policy. • Available for six months, full-time, starting in mid-January 2013. • The selected candidate will preferably be at her/his first internship experience or not have more than one previous internship experience outside of studies. • Computer literate (European Youth Forum uses Mac OS and Open Source softwares); knowledge of graphic software is a plus. • An interesting and challenging period of work experience in a major Brussels-based NGO, with the opportunity to gain specific knowledge on communication and advocacy related to youth policy, education, social affairs, sustainable development, etc. • An internship with a compensation of 1.563,80 euro gross paid under the European Youth Forum Collective Bargaining Agreement. • Coverage of 100% of the public transport travel costs within the Brussels region and of 60% of the public transport travel costs outside the Brussels region. • 1. Create a user account : click on “Registration” and fill in your personal details. • 2. Go to the “Login ” area and login with your username and password. • 3. Create your CV: click on “My Curriculum” in this area you will be asked to provide information on your education, experience and training’s. • 4. Submit your application: click on “Vacancies” you will be asked to select the call your want to apply for and to write your motivation letter. The European Youth Forum aims to ensure that no job application or employee receives less favourable treatment on the grounds of race, colour, nationality, religion, ethnic or national origins, gender, marital status, caring responsibilities, sexual orientation, disability or chronic illness.